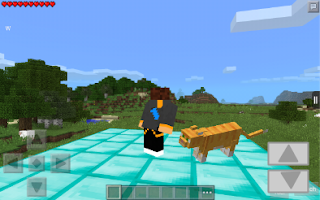 So I can predict that in the next update there will probably be the Nether, potions, enchanting, and ocelots. Maybe even redstone. But not the End just yet, I think. It must be harder to code than others because of the Ender Dragon, which is pretty complex. Anyways, the concept below is my same one except as a screenshot.